Joost de Valk founded Yoast. For a long time, Joost and Yoast were pretty much identical. However, over the past six years, the company has grown rapidly. Nowadays, Yoast isn’t just Joost de Valk anymore. It’s a sizable company. We get a lot of questions about the rapid growth of our company. How did we start off? What made it possible for Joost to start up Yoast? High-time to present our history. Having a computer with internet access turned out to be vital for the future career of Joost. He launched his first website in 1994. “I loved building stuff in code; I spent all my money on buying extra RAM.” During his early days, Joost taught himself to write code and to speak English fluently. After high school, Joost tried college and went to different universities. He quickly decided, though, that he was much too headstrong for traditional education. He started working at an IT company at the age of 20. “I was a nerd, writing code and all, but I was able to sell stuff too,” Joost says, “Apparently, I’m a smooth talker.” By then, Joost was already writing on his blog www.joostdevalk.nl about HTML, CSS, and coding in general. In the meantime, Joost met Marieke and they fell in love. Rather soon after they became a couple, they found out Marieke was pregnant. In the summer of 2006, their eldest son Tycho was born. Starting a family was a turning point in Joost’s career. When Marieke became pregnant, she was working on her PhD-thesis. As she was determined to finish that thesis, Joost decided he needed a job closer to home to help her take care of the baby. At the beginning of 2006, Joost found a job as an SEO consultant. The SEO job turned out to be a significant career move. Before 2006, Joost never had any interest in SEO, but that was about to change! Joost: “As I was able to write code and develop websites, I immediately understood all technical aspects of SEO.” This technical background combined with his ability to write appealing copy and to speak in public were the perfect ingredients to become an SEO expert. Between 2006 and 2009 Joost went to a lot of conferences (first as an attendee, later as a speaker) and began writing about SEO on his blog. Joost spoke at conferences like SMX and gradually became a well-known SEO expert. In 2007, at SMX Stockholm, Joost tried to explain to Rand Fishkin how to pronounce his first name. That’s when Rand said: “O, that’s easy, just toast with a Y.” Yoast was born. Joost quickly became a WordPress fanboy. He became an active member of the WordPress community, wrote about WordPress on his blog and made his first core contribution in 2007. Joost began combining his knowledge of SEO with his passion for WordPress. He developed some small plugins. Those plugins helped WordPress users to optimize their website for search engines. These plugins quickly gathered a large user base. a leap of faith and began a company. Back then, he was pretty sure he would never hire any employees. So he named his one-man-company after himself and his blog: Yoast. Joost made money by doing site reviews and providing SEO consultancy at major companies like eBay. Besides that, he was developing his SEO plugins for WordPress. In October 2010, Joost finally made one plugin of all these little ones: WordPress SEO (now Yoast SEO) was born. The evolving logo’s of Yoast SEO over time. At the end of 2011, Joost met Michiel Heijmans, who had just started his own business as well. “The site reviews were going well,” Joost explains. “I couldn’t do them all. Michiel stepped in and did some site reviews.” That cooperation turned out to be another turning point in Joost’s career. They became close friends. Michiel knowledge of SEO and UX combined with his outstanding people skills was a perfect match with Joost’s ambition and drive. Joost decided to bring Michiel on board. In 2012, Michiel became the first Yoast employee. Michiel and Joost hired an office in their hometown Wijchen. Yoast was becoming a name in the WordPress community, and Joost put a lot of money and effort into developing his brand. They hired an illustrator, Erwin, (freelance at first) to create some avatars and drawings of Joost. Later on, they decided to hire a graphic designer, Mijke. In 2012, Yoast started to make money off WordPress plugins. Yoast SEO already had a lot of users but didn’t have any paying customers. In September 2012, Yoast launched Video SEO. Since our paying customers asked for more support, Joost’s brother Thijs joined in on the adventure later that year. In the meantime, Marieke had finished her Ph.D. in 2011 and was working at different universities. At the same time, she interfered with Yoast quite a lot. That was dear to her heart too. Their little family had grown: daughter Wende was born in 2009, and son Ravi in 2011. 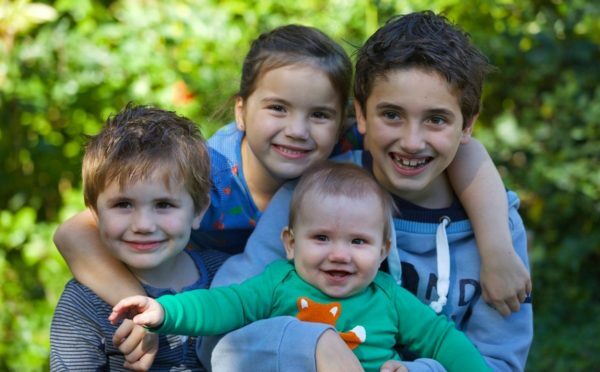 Joost and Marieke were both juggling their careers and caring for their children. In the summer of 2013, Marieke finally decided to give up her academic career and focus solely on Yoast. That made the combination of Yoast and family much easier. Later on, they eventually decided to complete their family with their youngest son Borre, born in 2015. As Marieke joined the company, Yoast started to grow at an increasing rate. Marieke’s academic career was no longer a limitation to Joost’s career and Yoast. They could now focus on the same things and follow shared ambitions instead of different career paths. It turned out that combining their energy made Yoast grow tremendously. 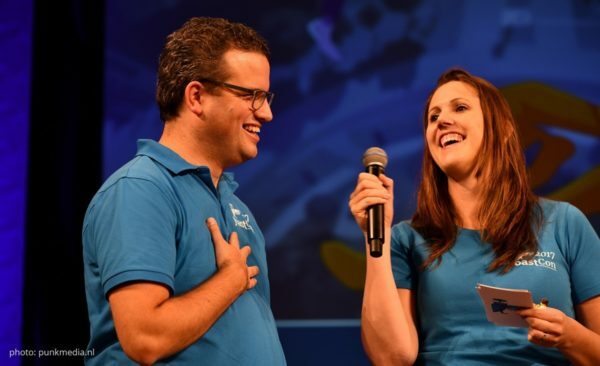 With the growth of the company, Yoast became more than just Joost and Yoast was no longer a synonym for Joost as a person. 2014 – now: Yoast keeps growing! In 2011, Yoast was Joost. At the end of 2012, Yoast consisted of Joost and another four employees. At the end of 2013, Yoast consisted of ten employees. And at the end of 2014, Yoast employed a total of fifteen people. In 2015, another nine people joined the company, which made a total of 25. At the end of 2016, there were about 40 people and at the end of 2017 more than 50 people worked in the Wijchen offices. Also, more than a dozen people are working in countries around the world. In 2014, Omar Reiss joined Yoast. Omar’s involvement was also of great importance for the growth of our company. Yoast had a team of three developers when Omar came onboard, without a clear system. Omar was able to make a real team of the developers. He introduced things like pair programming and set up a system in which colleagues review each other’s code. Above that, he made sure that the code quality of Yoast SEO became much, much higher. Joost and Omar were also able to attract many new developers for our team. Nowadays, our development team consists of over twenty developers in Wijchen and three developers abroad. Michiel, Marieke and Omar became more and more involved in the management decisions. At first, Joost’s brother Thijs was also involved. Together, they formed the board of Yoast. Joost sold part of the stocks of Yoast to both Omar and Michiel. Joost will always remain the founder of Yoast, but all important decisions are made by these four people. The Yoast board: Joost, Marieke, Michiel and Omar. Joost’s avatars as they were on the site before the redesign. In 2015, we also launched Yoast Academy. Yoast Academy helps people do SEO themselves, by teaching them how to optimize their websites. The first online SEO course appeared in 2015. Many courses followed and the team to grew to develop and improve new courses. Yoast has grown. The company grew and the profit increased. That didn’t change our passion for WordPress and open source, though. Giving back to the community that got Yoast to where it is today is crucial to the company. That’s why Yoast sponsors many WordCamps and why we hire developers that focus their time and energy entirely on the development of WordPress core. With the growth of the users of the (premium) plugins, the demand of support grew tremendously as well. Taco, who joined Yoast in 2013, grew into his role of support and community manager. He now leads a big team of support engineers working from countries all over the world. Besides that, Taco is a very active member of the WordPress community. He organizes local WordPress Meetups and WordCamps in the Netherlands and WordCamp Europe. It is hard to predict the future. Google changes regularly, and Yoast’ll change accordingly. It’s hard to see what will be next. There are lots of plans, though! We want to grow our Yoast Academy. And, we want to teach people about SEO and get people to perform SEO holistically. We want people to focus on producing quality content, quality web design, and quality coding. We want to improve even more websites, and we want to make SEO easier for everyone.